Think of the process of tracking your net worth as a report card – but for adults. As a child I dreaded parent teacher conferences because of these report cards. I knew my parents would come home and tell me my teachers had said I need to talk less and do more homework. When I was young, I even conjured up what I thought was a great plan for improving my grades – and no it didn’t include the obvious solution of studying more. When I was in elementary school teachers still wrote out our grades on these report cards. This was done with blue ink. Well, I thought it was a good idea to go and buy a blue ink pen in case I needed to make any needed modifications to my grades. I thought, how hard would it be to change a C grade to a lowercase a? In my mind there was no way I would get caught. In my naiveté, I didn’t realize a teacher would never write out a lowercase “a” when giving a grade – it would obviously be capitalized. Long story short my mom questioned me about this little stunt and I denied it claiming that was indeed my actual grade. As a parent I have come to appreciate these conferences to get a better idea of how my kids are doing. Luckily, report cards are now printed off, so my kids are going to have to be more creative if they want to change their grades. Just as parents depend on report cards to monitor how their kids are doing, we must monitor our net worth to know how our finances are doing. Net worth is an indication of our overall financial well-being and should be monitored closely and frequently. A simple way of understanding your net worth is in terms of losing weight. If you set a goal on New Years to lose 30 pounds during the coming year, how often would you check your weight to see if you are making progress? Most individuals would check it at least daily – some even more frequently. How effective would it be if you checked your weight loss once in June and then again on December 31st? Maybe for some individuals it would cause them to push themselves as hard as they could all year. These people are probably the exception. The rest of us would see how far behind we are in June and either give up or coast the rest of the year. The funny thing is there are still many individuals that would be disappointed come year-end that they hadn’t hit their goal. The truth is, we probably wouldn’t lose the 30 pounds using this approach. And should we be surprised? The alternative with your weight loss approach includes checking daily to see how you are doing. If after the first week you find that you haven’t made any progress, you are now able to reevaluate you approach the next week and make the necessary changes. Essentially you now have 52 opportunities – if you are checking weekly – to see how you are doing and change course if you are not losing weight. As you see progress you can double-down on the areas that are helping and discontinue the areas that are not. You are more likely to hit your goal if you are monitoring it very closely. The same applies to how we monitor our financial goals. If we coast with our finances until we are at retirement age, should we be surprised if we are not prepared? So how often should we be checking our Net worth? How often is often enough? How often is too much? How Often Should We Track Our Net Worth? Checking our net worth daily – like we would our weight under a weight-loss program – is not necessary. Although with the ease of modern tracking tools doing so would be quite simple. The reason I don’t check mine daily is because net worth building is a long-term process. This is especially true when it comes to investing. When we are tracking daily how our investments are doing, we are more inclined to make short-term decisions instead long-term. It is temping to jump in and out of the stock market under this approach – which to do successfully is impossible even for the most skilled investors. I check my net worth twice per month. This helps me monitor how I am doing, but also prevents me from becoming obsessively distracted by doing so. Many individuals may even find that doing a quarterly review is sufficient. I personally believe doing it quarterly is too little. This leaves a much longer period between reviews and doesn’t keep it front-of-mind. Think again of the weight loss example. Doing it infrequently makes it hard to adjust and track progress. I find that doing it every 30 day is perfect for most people. This takes the daily obsession and distraction out of it but also keeps it front-of-mind. I like to think of my net worth in terms of a scale. If one side outweighs the other, you will either have a positive or negative net worth – depending on which side has more weight. To calculate your net worth simply take your assets and subtract your liabilities. An asset is something that has value. For the purpose of calculating net worth we are not concerned with the value of all items – just those that have significant value. For example, I wouldn’t count my book library as an asset unless I have collectable books in there. Your liabilities include the money you owe to another individual or institution – your debt. Think of your assets as value that you own for yourself, whereas liabilities are value you owe to someone else. Once you have these appropriately grouped you can simply take your assets and subtract your liabilities. Here is where the scale comes into play. If your debts outweigh your assets, your net worth is negative. Conversely, if your assets are greater than your debts you have a positive net worth. This will give you a perfect snap shot of what your financial situation looks like. If you haven’t done this previously, I would highly recommend you do it now. There are useful tools that can help you do this easily – the one I prefer is Personal Capital. With their service you simply create a login and link all of your accounts – debts and liabilities. It will funnel all of this information into one simple platform where you can check quickly on what your balances are. These balances are updated in real-time. It will also do a net worth calculation for you. You can also manually add categories for debt or other assets. They provide this platform as a courtesy service. They are a financial planning firm and will likely reach out to you when you create the account to see if you need help with your money management. You are not obligated to do so. I personally do not have them manage my money for me – but I do like their tracking software. When I look at my net worth each month, I am interested in what each of my balances are doing. If I am looking at my checking account, I am interested in how my spending was from the prior month. This platform will show you how much you had deposited (income from your payroll) and how much you spent. This will help you determine if you spent more than you made. This will be an aid as your perform your spending reviews. When looking at my savings account I want to make sure I have six months of savings in place based upon my monthly expenses. This is a back-up plan if there is a job loss or other unexpected expense. If you have 6 months in place it is a matter of making sure it is enough based upon your spending – if not you will need to allocate more money each month to go into this account. If you haven’t established this account, use your spending review to determine how much you are able to allocate to this account monthly, and get started immediately on it. The goal should be to have this in place as soon as possible – within 18 months if possible. If you are worried about dipping into your 6 months savings each month, consider having this account at a separate bank. This will help eliminate some of the temptation of using this money outside of an emergency. 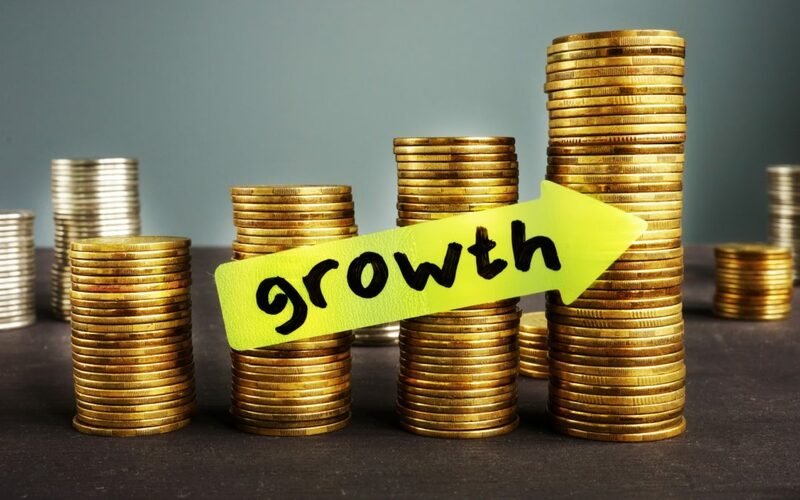 When looking at my investment accounts, I am interested in the growth that is taking place. Is my balance higher than the previous month? There are many factors that play into what these balances do – especially because the stock market fluctuates daily. It is important to monitor more than just if the balance went up. What we want to make sure is that we are making the necessary contributions each month. We cannot control what the market does but we must control what we are doing. Each month you can make sure you have the correct amount going into your 401(K), and determine if you can increase that amount based upon your spending review. Also, it’s very important to make sure you are contributing the necessary amount to get your full employer match. This means if your employer will contribute 4% of your income if you contribute 4%, you want to make sure you are doing that amount. You should also have a contribution amount in place to put as much as possible into your Roth or Traditional IRA retirement accounts. The value of other assets, such as your home, auto loans, or other personal property should be looked at as informational and not as wealth building items – unless they are used to generate income for you. When home values are going up or down quickly, it will either inflate or deflate your overall net worth, and could hide the real progress you are making. Your car should also be just informational – unless it is an antique that goes up in value. Because cars depreciate over time, if you are using them in your net worth calculation, you should also adjust its value accordingly as it will depreciate each year. Building momentum with your wealth is very important. When we see this progress, it acts as a motivator for us. It also helps us build confidence in our abilities. This momentum can also work against us. When we feel like we are losing speed, this loss of progress can demotivate us. This is why it is so important to see progress if we want to keep moving forward. If we are exercising and eating well but see no progress in our weight loss, what incentive is there to keep trying? Progress is everything when it comes to goals – especially money management. One of my favorite money books is the Richest Man in Babylon, written by George S. Clawson. I have thought a great deal about this quote and the role it plays in building our net worth – and really any aspect of life for that matter. We often set goals and sit back hoping that in a years’ time we will have achieved that goal. Whether it is losing weight or building wealth, it is those things we exert energy towards that we will see progress in. What we also need to realize is that money management isn’t just about money – I know that sounds like a contradiction. Money growth should be the result that comes from something deeper. Life is about the progress we make inside of ourselves. It is about who we are becoming. When we endeavor to accomplish anything great, what we are going to personally become should be our real focal point. Too often when we think about disciplining ourselves with money, or showing determination with investing, we forget that it isn’t just about what we will gain financially. This is no doubt an important aspect, but it isn’t everything. I would argue none of that matters if we are not mastering ourselves. The discipline we develop through this process of growing our net worth should be making us a better person. The habits we put in place should be affecting other areas of our life. When we are able to tell yourself “NO” to an unnecessary purchase, or “YES” to investing; what we are really doing is developing strength and discipline – and an increased net worth is a by-product. This is why some people seem to excel at everything they do. They have developed who they are and the success follows. If we can focus on growing who we are, these disciplines will affect our finances and help us grow out net worth.